Nancy Blanton writes award-winning novels based in 17th-century Irish history. Her latest, The Earl in Black Armor, tells a relentless story of loyalty, honor, and betrayal in the Stuart era prior to the great Irish Rebellion of 1641. The Prince of Glencurragh, her second novel, occurs in 1634 during the English Plantation of Ireland. Her first novel, Sharavogue, is set in Ireland and the West Indies during the time of Oliver Cromwell. In non-fiction, Brand Yourself Royally in 8 Simple Steps is also a medalist, providing a valuable personal branding guide for authors, artists, and business consultants. Her blog, My Lady’s Closet, focuses on writing, books, historical fiction, research, and travel. 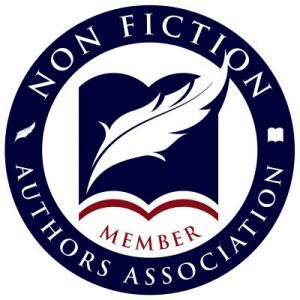 Ms. Blanton is a member of the Historical Novel Society and is proud to be an occasional guest author on the award-winning UK blog, Myths, Legends, Books & Coffee Pots. She has worked as a journalist, magazine editor, corporate communications leader, and brand manager. Her books celebrate her love of history and her Irish and English heritage. She lives in Florida. Nancy Blanton is happy to speak to book clubs and other audiences on my new novel, The Earl in Black Armor, and/or her two previous books. Other topics Nancy speaks about include historical fiction writing, personal branding, and 17th-century history. Contact Author Nancy Blanton on her blog contact page to inquire about speaking engagements or professional branding via personal consulting or workshops. IRELAND, 1635: When the clan leader sends Faolán Burke to Dublin to spy on Thomas Wentworth, the ruthless Lord Deputy of Ireland, the future of his centuries-old clan rests upon his shoulders. Wentworth is plotting to acquire clan lands of Connacht for an English Protestant plantation, displacing Irish families. To stop him, Faolán must discover misdeeds that could force King Charles to recall Wentworth to England. Leaving his young daughter Elvy in the care of his best friend Aengus, Faolán works as a porter in Dublin Castle, and aligns with the wise and alluring Denisa, Wentworth’s personal assistant. She, too, spies on Wentworth, but for very personal reasons. While gathering evidence, Faolán is torn between hating Wentworth, and yet admiring his prosecution of pirates and corrupt nobles who prey on Irish merchants. Supremely arrogant and cruel to his enemies, Wentworth shows loyalty, warmth, and compassion for family, friends and a few select others. A common mission takes Faolán and Denisa from Dublin to London and Hampton Court; to York and Scotland; and to the highest levels of court intrigue and power. But secrets, fears, war, and betrayal threaten their love–and even their lives. And as Wentworth’s power grows, so grow the deadly plans of his most treacherous and driven enemies. In December of 1649, Elvy Burke, the daughter of a great warrior, wants only one thing–to live her destiny as a leader and defender of Ireland. When she learns that Oliver Cromwell and his cavalry are approaching her village, she knows she will not give up easily. To escape Cromwell, Elvy aligns with a Scottish outlaw whose schemes send them headlong into a tumultuous journey across the sea to the West Indies, where she becomes an indentured servant on the sugar plantation Sharavogue. What she wants now is to survive, find Cromwell, and fulfill her blood vow. Sharavogue is first place winner of the Royal Palm Literary Award for historical fiction. The Prince of Glencurragh: A Novel of Ireland (Book Description From Amazon): Winner of Florida’s Royal Palm Literary Award – As the son of a great Irish warrior, Faolán Burke should have inherited vast lands and a beautiful castle, Glencurragh. But tensions grow in 1634 Ireland, as English plantation systems consume traditional clan properties, Irish families are made homeless, and Irish sons lose their inheritance. Encountering the beautiful heiress, Vivienne FitzGerald, Faolán believes if they were to marry, together they could restore his stolen heritage and build a prosperous life. But, because the Earl of Cork protects her, abduction seems to be his only option. Faolán now finds himself in the crossfire between the four most powerful men in Ireland–the earls of Clanricarde, Cork, Ormonde, and the aggressive new Lord Deputy of Ireland, Thomas Wentworth–men who use people like game pieces to be moved about for their own benefit. And other forces threaten their plans, and even their lives. With the course of events now beyond their control, will Faolán and Vivienne ever realize the dream of Glencurragh? This book combines fascinating historical details with an immersive sense of a remarkable place, the beautiful southwest of Ireland. Available in hardcover, softcover, and e-book. Brand Yourself Royally in 8 Simple Steps: Harness the Secrets of Kings and Queens for a Personal Brand that Rules (Book Description from Amazon): Who needs a personal brand? Anyone who realizes his or her success depends upon being likable and memorable to potential customers. And now you can build an effective personal brand without spending a fortune. Just take your inspiration from the first personal branders, kings, and queens. Combining historical research with corporate branding experience, Nancy Blanton offers authors, artists, consultants, and others the gems of wisdom from savvy monarchs and leaders whose successful rule depended on the support of their people. Her simplified branding process and communications planning guide incorporate these time-honored techniques to help you create your own personal brand and then put it into action. The Curious Adventure of Roodle Jones (Book Description from Amazon): A dog, cat, and wallaby take off on a journey that includes a visit to the beach, a trip to the bakery, and finding a flower to win the affection of a little girl. This fun and amusing story stresses friendship and other virtues. Heaven on the Half Shell: The Story of the Northwest’s Love Affair with the Oyster – Co-Authored with David G. Gordon, and Terry Y. Nosho (Book Description from Amazon): Entertaining text and fascinating photos draw you into the world of the aquaculturists, scientists, and connoisseurs who shaped the oyster-farming industry. It is no easy task to read and review the works of a master 17th-century historical author who has written several novels. I am humbled to have been asked to read and write a review of The Earl in Black Armor. If you missed it, let me repeat it; this is a 5 STAR novel. Many authors identify as historical fiction authors, but Blanton’s historical fiction is a mix of both fiction and non-fiction, extensively researched. Given my knowledge level, I regard Blanton as more of a scholarly type of historical author. I must confess that The Earl in the Black Armor piqued my interest to the extent that I veered off task and began researching the Irish community of Charleston, SC. I wanted to see if I could find a connection to Charleston and Wentworth because of the Wentworth Mansion 5 Star Hotel located in Charleston on Wentworth Street. I can’t speak to the Wentworth Irish connection; however, I did discover a 17th-century Irish architect from Dublin by the name of James Hoban who sailed from Ireland to America, and two years after advertising his services in Philadelphia, he was living in Charleston, SC. in 1787 where he designed a myriad of buildings, one of which was the Charleston County Courthouse. More notably, George Washington traveled to South Carolina and being impressed with Hogan and his work, in 1792, George Washington chose Hogan to build the Whitehouse in the District of Columbia. As impressive as this is, I digress and have only Nancy Blanton to blame or to thank for the distraction, which was the result of the non-fiction portion of Blanton’s novel The Earl in Black Armor. I gleaned from Blanton’s foreword that The Earl in Black Armor was written as an “in-between book” to speak to the events that transpired between Blanton’s first two novels Sharavogue, and The Prince of Glencurragh. In short, The Earl in Black Armor should have been book two and The Prince of Glencurragh the third novel in the series. However, Blanton provided the help necessary to her readers, myself included, who have yet to read her first two novels, to understand what is missing from The Earl in Black Armor, but within in her other two books. Blanton did this by providing the glossary and pronunciation pages, as well as an afterword and author’s note pages, to help with understanding the characters, the Irish dialect from the period, the proper pronunciations, and definitions, and listing events that had occurred, thus providing a brief synopsis. Initially I had concerns that I would be at a disadvantage by starting in the middle; however, the added pages provided something to refer to, which I did multiple times until I felt confident with the characters and terminology. The POV and finely tuned authentic character and dialogue development from 17th-century Ireland were some of the best I’ve seen to date since I’ve been reviewing books. Blanton’s peerless descriptions throughout her novel The Earl in Black Armor is a beautifully written novel. Blanton is a uniquely gifted author when it comes to showing versus telling the reader what is happening through the scenes of conflict, and dialogue. The Earl in Black Armor is a poignant and classically written style novel. I should have read Blanton’s first two novels before reading The Earl in Black Armor, but I have now added these books to my must-read book list. I believe had I read the first two novels before I read The Earl in Black Armor, I would not have felt as if I were going from sprinting to walking and back to sprinting again. And to be clear, this is no fault of the author, it’s tricky to read a book at the end of a series, or in this case, the middle. The Earl in Black Armor, it’s characters, and historical events stand on its own. I highly recommend this 5 STAR novel to anyone whose preferred genre is historical fiction or non-fiction. You can’t do better than Author Nancy Blanton when it comes to historical writing. Blanton also writes in Business and Children’s genres. Note: The Snow Path to Dingle Tour! Nancy Blanton is partnering with Peg Aikman and Adams & Butler, a Virtuoso Agency, to organize a trip to some of the beautiful Ireland settings in her novels from May 28 – June 6, 2019. Blanton will be on the tour sharing the history of various locations and discussing how they were used in scenes throughout her three books. Click on the link provided for a look at the fascinating itinerary, cost, and contact information. Oh, by the way, for the Irish in the crowd, you may feel proud to know that the new Irish Emigration Museum in Dublin displays an image of the Charleston County Courthouse to honor James Hoban’s work which led up to the Irishman’s work that led to the White House. I wonder why they do not display an image of the White House. Any thoughts? I am absolute fan of British historical fiction (as is my sister). She has read Blanton’s books; I have not. The above 3 are now on my list. Thanks! Nancy will be thrilled to hear this. I will pass this along. I hope all is well with you and Bob.